May we add your favourite sites? Post your suggestions in Comments, below! and Promoting Beekeeping in the Developing World. Laboratory of Apiculture – U Sussex, U.K.
Beekeepers’ Home Pages, active since October 1995! MEDIVET – Medicines to control Nosema, AFB, and Mites! The Bee Photographer – Outstanding Pictures! Search “Bee” at Can Stock Photo for Pictures of Honeybees! Queen Management Techniques from Ohio State U. Adopt a Beehive – if you worry about the loss of honey bees! Breakfast without Bees – Check out this neat graphic! Virus Responsible for Honey Bee Collapse? Stephen Epstein – Israel-based Bee Blogger and Photographer Extraordinaire! Comb Honey on Morning Talk TV – this one is great!! High-Speed Video from inside a Beehive – watch the bees build a nest! Top Bar Hives – Construction, FAQs – Great International Reference! Army and Bee Scientists Solve the Mystery of the Disappearing Bees! Red and Blue Mason Bees – Oxford Bee Company, U.K.
North American Interactive Bee Forage Map – See the plants bees work! Florida Honey Plants – Excellent List! Insects as Food – Your kids will love these recipes! Insect Riddles – Written by Kids! Art to Cut and Clip and Colour! Langstroth – What would he do? Bees in Art – an art gallery inspired by bees! Bees on the Roof of the Paris Opera House – Great Photos! Bee Songs – Oh my, songs about honey bees! Bee Venom Mask – Claims to Take Years Off the Face – Worn by Royalty! Mona Lisa and a Honey Bear?? What a fantastic collection Michael! I have great appreciation for the work you do for the bee world. Thank you, your kind words are appreciated! Really good, although some of the links are expired and not updated, it is a very very hard job to maintain such a list. GOOD JOB!! Thanks! This link leads to a Romanian language blogsite about beekeeping in Romania. Folks who speak a Romance language will probably get a lot out the site. Thanks for the link suggestion to beeproofsuits! I’ll add it to the main body of links above sometime soon. http://www.universomiel.es blog about all things beehive- more for the end user. Objective is to raise awareness of the marvellous properties & benefits of the beehive products and also the ever alarming bee situation. FYI, is in spanish- but Google now translates when it detects a different language to yours. This site made for posting beekeeping related employment all over the world. You are in the right site if you are looking for work or looking to hire in the beekeeping industry. This website is all about our queen rearing operation here in Hungary, and about my beekeeping trips in the world. Another great site is http://coogarproducts.com/! Thanks. Coogar Products is a candle maker’s equipment supply outfit. Thank you. Very nice pictures and information about honey exports, honey from poppies (! ), and royal jelly – unfortunately, everything seems to be only in the Vietnamese language and the text is embedded images which means the words can not be run through translation software. Anh Bang Hy – do you have English pages? Thanks! Nice beginning page, links, and general info. I would like to get some information about international queen bee trading. If you know a website or any information, could you share it with me? Thanks a lot! Hello Máté Gajdos, I don’t know of any international queen bee trading websites. Maybe someone reading this can offer some help. Do you sell queens abroad or entirely within Hungary? Exporting is difficult because of so many different regulations and concerns about spread of bee diseases. If this site truly didn’t realize this to be a bad link and the moderator is truly mindful to take down the link, note that the title of the link goes is: “Queen and Bee Suppliers in the USA” under the Bees and Queens for Sale section. I especially like Slovenian bee sites, so thank you for sharing this link. Slovenia has Europe’s greatest honey bee culture! Don’t know what category this would fit in (obscure! 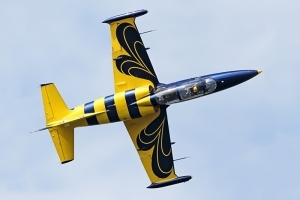 ), but there is the BalticBees Jet Team that fly L-39C Albatros and do shows, training, etc. I know I will be visiting this page often 🙂 Thank you for compiling such a wealth of information. Thanks. I started this collection in 1998. Some of the links need edits and fixes (I keep promising to do that, but always find myself short on time!) – but I’m really glad that you find this useful. So much information, can you recommend a starting point? I would like to ask you to share our links in your directory. We have a store in the US, Canada and Europe. I would be very grateful if you could share these. Thanks, Michal, for giving us these links. I’ll add them to this page’s main text within the next few days. In Nassau County, Long Island we do honey bee swarm removals, as well as hornet and wasp nest exterminating. For honey bee swarm removal on Long Island. That’s in NYC, right? Normally we don’t give a voice to pest removal services which ‘remove’ pollinators. Do you work with beekeepers and relocate the bees or do you kill the bees? There’s a difference. Hi, thanks for lots of wonderful information. Please, add the Åland Beekeepers homepage if possible. We are together with Iceland and Isle of Man the only varroa free areas in Europe. We got our status in 2013. Every summer the Finnish Food Security Board is sampling our bees. All bees on Iceland are imported from the Åland islands. Our homepage is in our mother tongue Swedish. We are 100 beekeepers keeping about 1000 hives. The orchards on our islands produce about 75% of the apples grown in Finland. Best regards from apple and heatherland! Thanks, this sounds amazing! How many bees (hives/packages) are sent to Iceland each year? Do you ship elsewhere in the world, too? Hi, last summer 100 packages were sent to Iceland. We sell bees also to coastal regions of Finland and Sweden. Some colonies also found their way to Kuusamo national park in the very northeast of Finland. In February we are going to visit the next varroafree region, Isle of Man. We have lots to learn from each other. That’s amazing! What do bees work in northeast Finland? What are crops like in Iceland, Mann, and NE Scandinavia? In the very northeast of Finland you have plants like blueberries, lingonberries, cloudberries. Those are good plants for the bees. I guess thay also have cranberries and heather. The very exclusive honey from cloudberries can be bleded with blueberry honey to get more cloudberryhoney. The Finns take part in several Weinachtsmarkt in Germany. Guess if they sell! I have never been to Iceland, but on pictures it looks like they have dandelions, white clover. They are very proud of their beekeeping. A kilogram Icelandic honey costs like 60 $. I know nothing about beeplant on Isle of Man. Ron, you also have very successful beekeeping on the southwestern part of Greenland. Will do some research and see what Iceland has. There are no trees on Iceland. During stormy winters they have to take the hives into sheds. Thank you, Yngve! It’s good for all of us to have an idea about the bee pasture up there. It’s great to see how much work you are doing to help beekeeping in the far north. My dream is to go to Iceland one day. Partly for the landscape, but now also to see those bees! Honey bees will utilize the pollen from just about any plant. If desperate, honey bees will even collect coffee and sawdust. (Though they get little value out of either.) But some plants are difficult for them to actually reach the pollen. Those plants tend to have evolved to benefit from other types of pollinators’ visits. My question to Yngve, though, was because I was interested in learning about the nectar-yielding plants on the far north islands – they tend to be a much smaller subset of flowering species. Yngve answered it very nicely. The problem with buying bees, is that most are not native to the area. Many bee keepers on Long Island, purchase bees that are being sent from the Southern United States. These bees are not native to New York, so many hives don’t survive the cold winter months. You can take a look at this site for more info. Actually, as an exterminator, you probably already know that no honey bees are actually native to New York. Honey bees are an imported species everywhere in North and South America, Australia, New Zealand, and much of Asia. The first honey bees brought to the USA came to Massachusetts in the 1600s. New England is arguably a colder place than Long Island, but that’s where they started on the continent. From there, they spread south and west. Genetics plays a role in winter survival, but other factors – mites, moisture in the hive, lack of sufficient winter stores are more important. New York beekeepers have been successfully wintering ‘southern’ bees brought north in packages for about 150 years. Winter losses are up, mostly due to mites and the viruses they carry. Thanks! I’ll post it to our museums listed above – and I’ll drop by and look next time I’m in Kiev! Several years ago we meet your website Bad Beekeeping online. We are the professional beekeeping tools producer and professional beekeepers in China with more than 50 years. Now we produce more than 200 kinds of beekeeping tools , and we are also producing many new beekeeping tools. We are thinking , is it possible for our website to be listed on Bad Beekeeping ？ Once you have any inquiries，please feel free to contact with us，which would be much appreciated. And in the following weeks , we will list more beekeeping tools on our products. The weather is turning warm one week after one week , now we are preparing for the new season in China. We hope 2018 will be a great year for you and your company. And we also do hope we will meet you in near future. Waiting for your reply , thanks. http://www.chinabeeworld.com Specializes in the research and design of bee related products. We offer a full line of products to meet all your bee-keeping needs. We will add your company’s weblink to the list above. I see that you have an English-language site. Our readers will enjoy looking at your equipment. Good luck with your sales and thank you for the nice letter. I posted the whole course that we are offering from https://www.beekeepingapprentice.com/ we are also looking for a blogger or website that could make our course listed in their website. Thanks, Joey. Good luck with your course. How long have you been keeping bees? Thanks, Charlotte. Your South Carolina site will be added above during the next update. Hello! What an extensive reference to Internet beekeeping resources! Please add our beekeeping podcast to your page: http://www.beekeepingtodaypodcast.com. Thanks for the kind words and for the link. I’ll try to do some updates and move your listing up into the appropriate spot. I am an editor of a German beekeeping magazine and would like to ask your permission to use one of your articles. Could you please contact me? Thanks for contacting me. I’ll send you an email so that you may give me more details. Merry Christmas , Charlotte , we checked your website , it is very good . I have a guide called “Flowers for Bees” that I thought would make a good addition, what do you think? I mean, anything to make it easier for bees is good, right? Thanks, You have a nice blogsite. Hopefully, it will appeal to people beyond Australia, too. The Brown County Beekeeping Association in Green Bay, WI USA has a new email address. How does one go about changing to the new one. The new address is http://www.browncountybeekeepers.com. (it does not include “wordpress” like the old one did). Thanks for our help. I’ve updated your site url. Thanks for the info! Greetings Ron, I’ve had Tupelo honey from https://www.smileyhoney.com/ and it’s well worth adding to your list. Thanks for putting together such a great bee resource list.